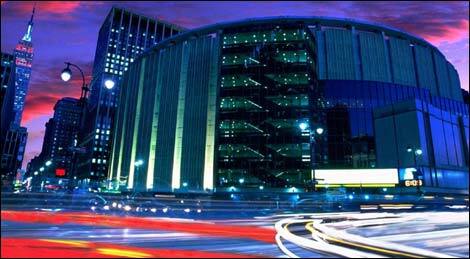 Why haven’t we seen a UFC event at what is arguably the nation’s most historic sports venue, Madison Square Garden? For only one reason, because MMA has not been legalized in the state of New York. For the casual MMA fan this statement might leave you scratching your head. The only thing keeping mixed martial arts from being legalized in New York is (drum roll)…the Culinary Union. Yes, you DIDN’T guess it. The Culinary Union has a very strong political foothold in the state of New York, and is exercising that foothold to block the legalization of mixed martial arts in the empire state. The next question you might be asking yourself is what the heck does the Culinary Union have to do with MMA and the UFC? Short answer is absolutely NOTHING. Very few people know that Frank and Lorenzo Fertitta not only own Zuffa LLC, the UFC’s parent company, but the brothers are also owners of Station Casinos. Station Casinos is one of the largest non-union businesses in the gaming/hospitality industry. Subsequently, this non-union status means that none of Station Casino’s employees are members of the Culinary Union, and thus the Culinary Union is losing out on a potentially substantial revenue stream.